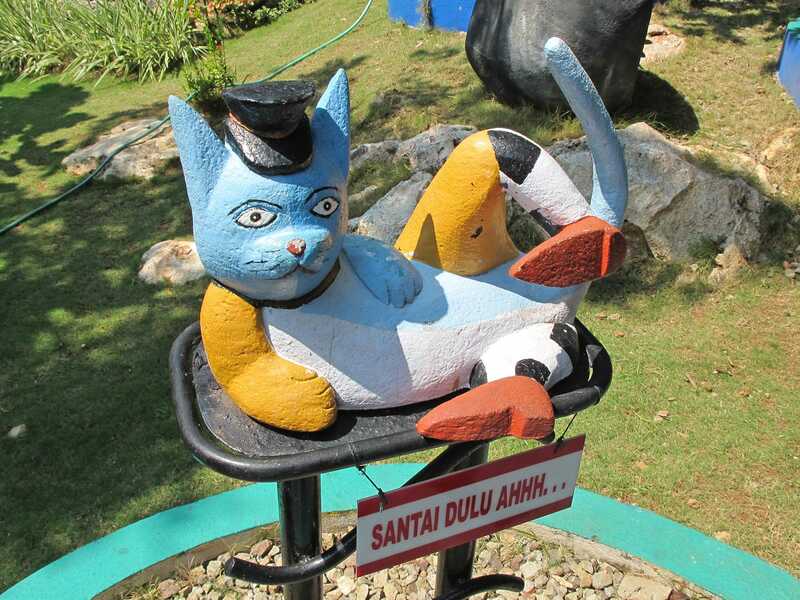 Two hours north of Surabaya lies Wisata Bahari Lamongan, home to the second wooden mouse in Indonesia. I had high hopes for Crazy Car Coaster (#1768) after the wonderful ride yesterday, but it was not to be; this version was violent and rough, and not something I'd have wanted to ride more than once. In any case this was not allowed, as my wristband was marked as I approached the station. It's great to see classic attractions preserved for future generations to enjoy, but the preservation effort would be much more worthwhile if augmented by a regular maintenance schedule. The park also has a powered Jet Coaster, a single helix version of the ubiquitous Zamperla Dragon. Much to my surprise, this turned out to be great, as the power level on the motor had been set far higher than would be normal for this design. I'd made the mistake of sitting on the right hand side of the car, which didn't last long; I was quickly thrown to the left and pinned there as the train gathered speed. Beyond the coasters, the park also has a number of strange attractions, a few of which are worth highlighting here. An impressive looking building in the shape of a caterpillar appears at first glance to hold a museum of butterflies (of the non-enthusiast kind!) but it is also the entrance to a substantial set of underground caves, complete with walkway within. I'm not entirely sure that it's sensible to visit caves in an area prone to seismic activity, but the tour was certainly interesting enough. Another building houses a variety of different species of cat, both real life and model, with some of the models dressed in elaborate costumes. An attraction named Planet Kaca (the park clearly has no native English speakers on staff!) is a rather good blend of mirror maze, fun house, and walkthrough that's definitely worth a few minutes. The final ride of the morning was on 1001 Nights, a fairly respectable dark ride and arguably the best ride in the park. It also had the extra bonus of strong air conditioning, making it a very welcome respite from the heat outside. My flight back to Jakarta was a little late, but there was still enough time to visit a few of the local shopping mall parks. The first of these, Time Zone, can be found within the Lippo Supermal, about ten kilometers south of the airport. The main attraction is Light Catcher (#1769), a custom designed roller skater and one of the largest of its type. It proved to be a surprisingly good ride, and one that I was glad I'd made the effort for. 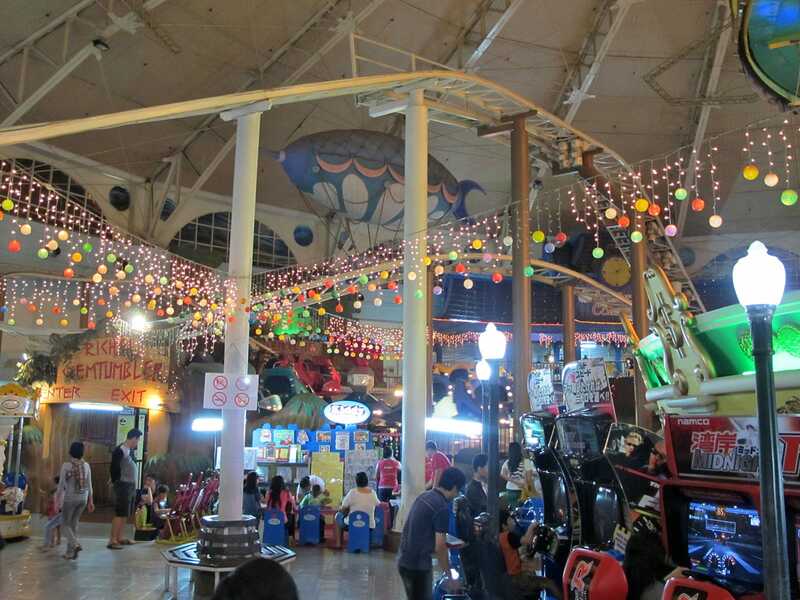 Puriland is found inside the Puri Indah Mall, and it has an oversized family coaster from Zierer named Ghoster Coaster (#1770). The two lift hills on this ride are no more than twenty feet in height, providing enough energy to cover the track layout but not a lot else. Enthusiasts who don't count coasters could easily skip this ride without any great loss.